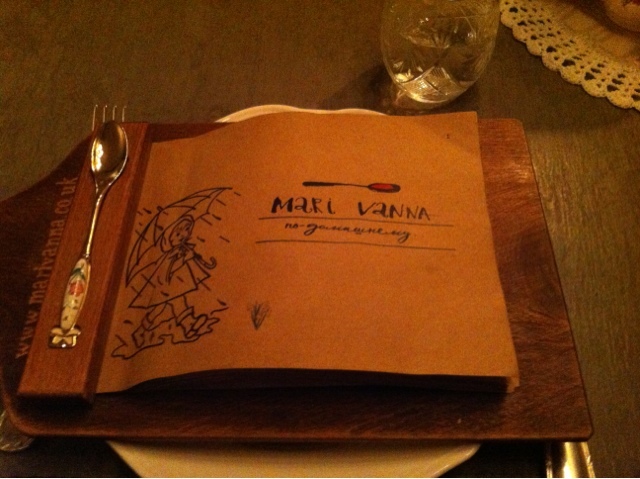 Mari Vanna is a beautiful Russian restaurant in the heart of the City. A few weeks ago I went along for a birthday dinner to find out if the food was as perfect as the decor. As you enter the restaurant it's feels more like a perfectly over the top house with its large front door and narrow corridor filled with coat hooks, vintage frames, chandlers and gold wall paper. 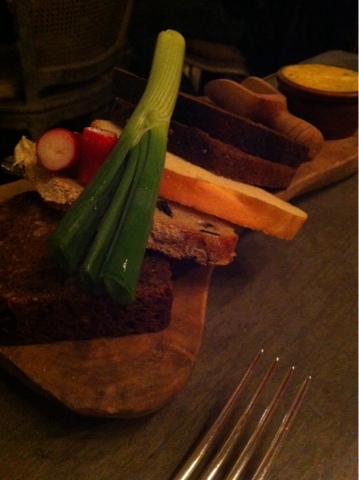 We were seated at one of the beautiful mismatching tables in a small cosy dining room. The walls in this room were also well covered in dressers filled with trinkets and similar frames and lighting to the first. The service was great and we were quickly presented with a delicious breadboard filled with an assortment of breads and goodies. 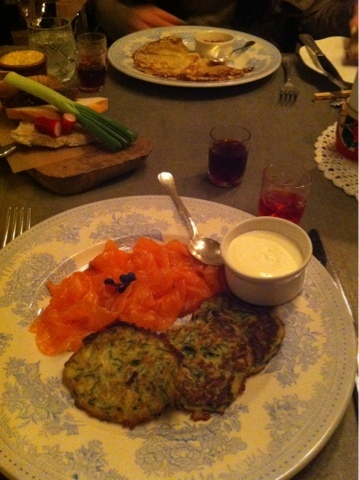 I chose to start with the smoked salmon and couchette pancakes, and they were perfect. Light and fluffy with sour cream and salmon, yum. 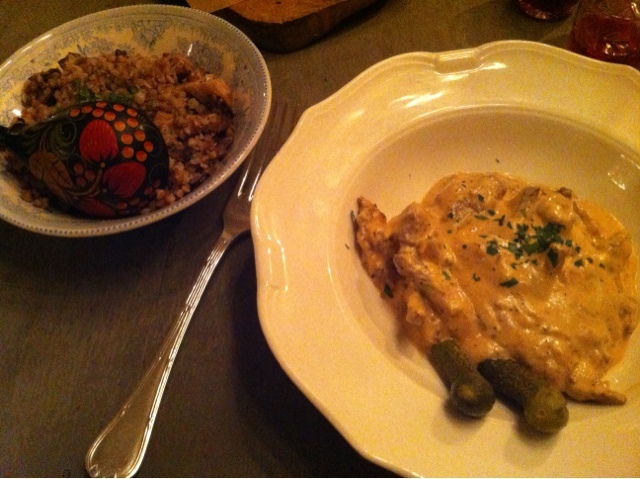 For my main I went for the beef stroganoff with bulgur wheat - also very good indeed. 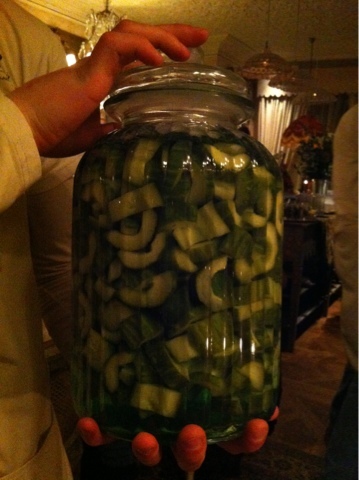 The lovely staff showed u their stash of in house vodkas (well it is Russian,what did you expect). Huge jars sat brewing behind the bar filled with strawberries, cherries, cucumber and dill, honey, chilli and pretty much any other flavour you could think of. We tasted a few and the cherry is exquisite!